Hey Guys! I’m Miruoka From Japan. 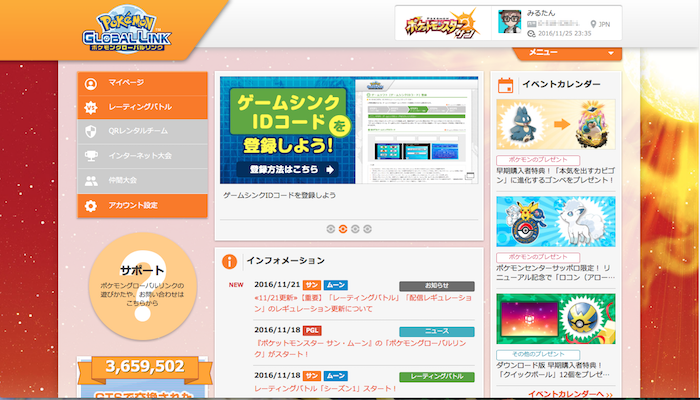 Pokemon Sun and Moon was released in late 2016 around the world. I believe you all are addicted to Pokemon Sun/Moon and so do I. 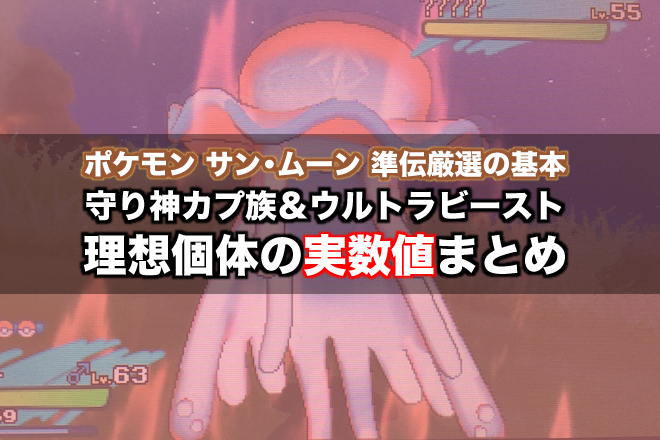 It is necessary for your battle to bleed the competitive Pokemon with perfect Individual Value (IV=31) by “parent Ditto” in the bleeding center. 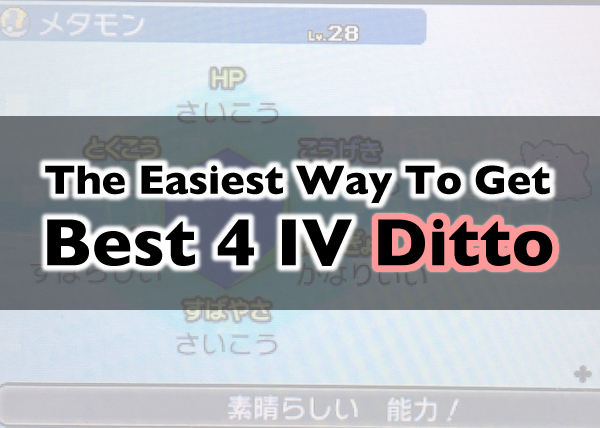 In this article, I introduce the “Easiest way” to get wild 4 IV Ditto. Don’t miss it and get the competitive child of your favorite Pokemon ! Being damaged, wild pokemon occasionally summons the same (or evolved) one. 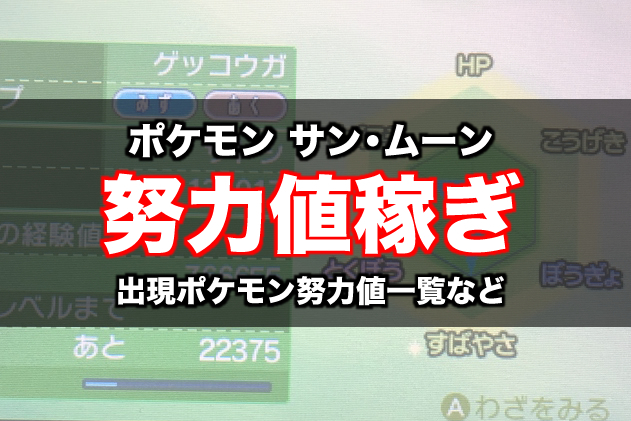 With increasing the number of chain, the summoned pokemon becomes stronger (the number of the best IV increase). 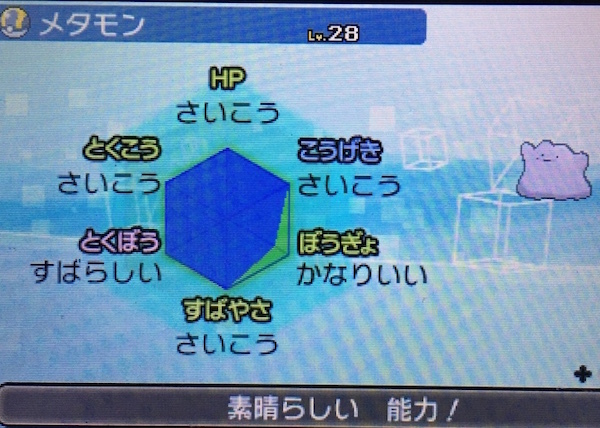 If summoned pokemon that is chained more than 30 times (approximately), it has the 4 perfect IV. 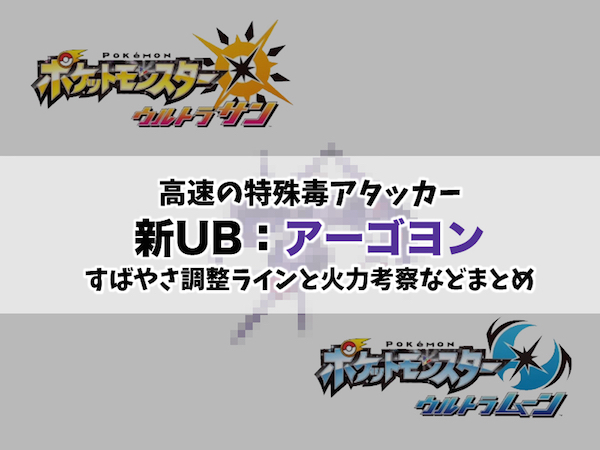 In addition, increasing the number of the chain, we can see the pokemon having hidden ability. This figure shows my 4 IV Ditto. 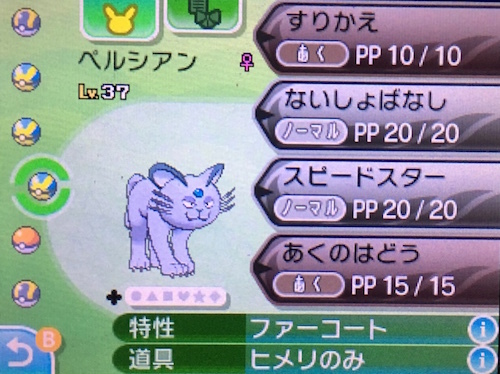 I catched this after the 31st chain. When the wild pokemon is damaged, it became easier to chain. 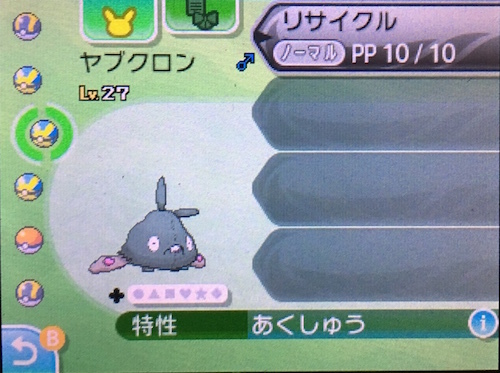 It means the pokemon that mastered “False Swipe” is effective to start chain. The most standard one is Sneasel. 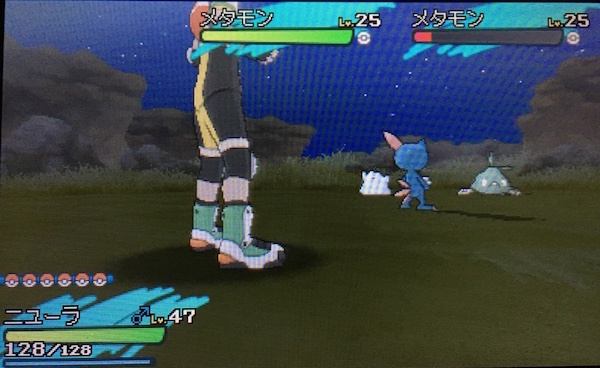 Sneasel can master False Swipe by TM. And Sneasel can master Brick Breakby TM as well. Brick Break by Sneasel is enough to defeat the useless Ditto. Confide and Reflect work for stalling the time at the turn that chain doesn’t occur. You can choose any move unless it doesn’t damage any pokemon. 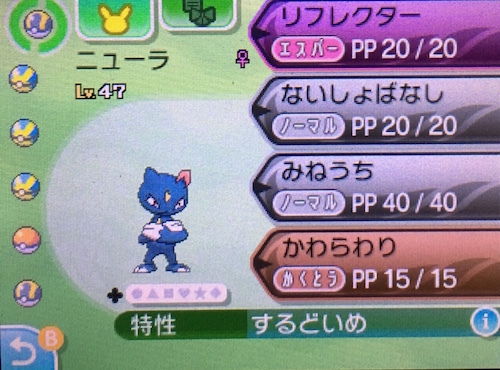 It is possible to chain only with Sneasel though it’s so hard because Ditto damage you and you are forced to recover at every turn. Having these two pokemon below, you can chain with no damage and easily catch 4 IV Ditto. Persian has to learn Swicheroo and have Leppa Berry. you can choose any moves for the others. Persian can’t learn Swicheroo by leveling up (move of Lv.1) so should be remembered by move reminder. Hypno can be reminded Swicheroo as well, but both pokemons need to be evolved to remember Swicheroo. Trubbish needs to learn only Recycle. The other moves must be deleted. Let’s go to get 4 IV Ditto if you prepare these three pokemon !! The way to catch perfect 4 Individual Value wild Ditto is shown by text and figures below. At first turn Ditto appears, you have to send Trubbish out. 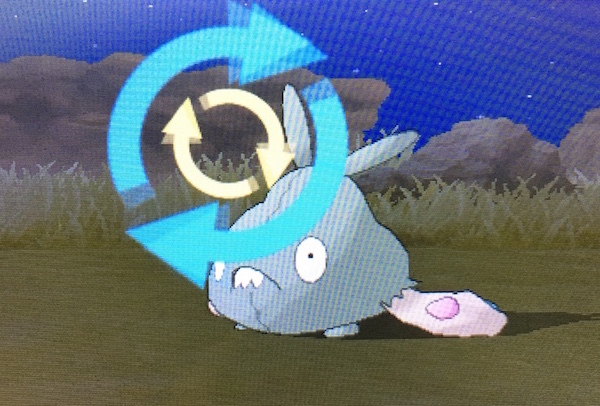 Wild Ditto transforms Trubbish that has only Recycle. At next turn, send Persian and select Swicheroo. Wild Ditto (Trubbish form) is forced to have Leppa berry. After that, send Sneasel and select False Swipe. You should damage Ditto without defeating. Damaged Ditto frequently summons another Ditto. Defeat summoned Ditto until 31st summoned Ditto appered. In this situation, first wild Ditto can select only Recycle. After running out of PP, Ditto uses Leppa Berry and recycles it just after that. What you should do is to defeat summoned Ditto next to first wild Ditto (Trubbish form). You can catch the “best 4 IV” wild Ditto after 31st chain. Reaching the final phase of main story, you can purchase Adrenaline Orb in the shops. When you use Adrenaline Orb in the battle, wild pokemon comes to summon more frequently. This item supports you to get 4 perfect IV Ditto by chain. You can get a “four IV=31 Ditto” in approximately 30 minutes. Pokemon Sun and Moon is more “beginner friendly” than previous series of Pokemon. Let’s go to Breeding Center with 4 IV Ditto and get competitive pokemon ! !